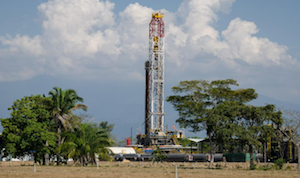 Gran Tierra is a publicly listed, independent international exploration and production company with onshore oil production focused in Colombia. The Company has also made a new-country entry into Ecuador through the submission of winning bids for a total of three blocks1. 1 Based on preliminary results. See press release for additional information. 3 Based on December 31, 2018 McDaniel Reserve Report. 4 Calculated using average fourth quarter 2018 WI production of 38,156 BOEPD. 5 Based on July 31, 2018 McDaniel Prospective Resource Report, excludes recent acquisitions.